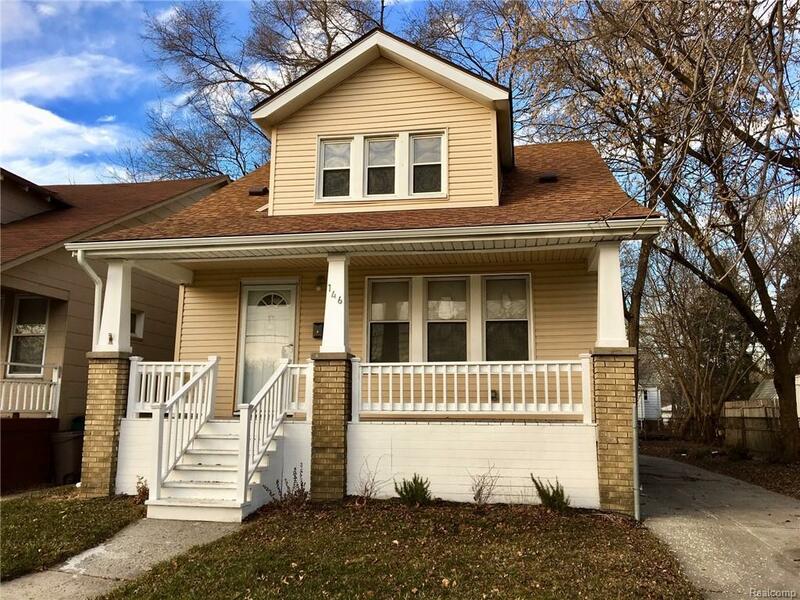 Beautifully renovated "Craftsman" style Bungalow. Wide, inviting front sitting porch, richly refinished hardwood floors in the living room and formal dining room, new kitchen cabinets, granite countertops, dual stainless steel undermount sink, new backsplash, flooring, etc. Elegantly tiled full bath with new fixtures, flooring and more! Huge master bedroom spans the length of the home, features multiple closets and new carpet. Third bedroom is also upstairs and gets great light and has fresh paint and carpet. Newer furnace, update electrical and plumbing. Two car garage. Great lot (45' x 100'). Immediate possession. Make Home Here.